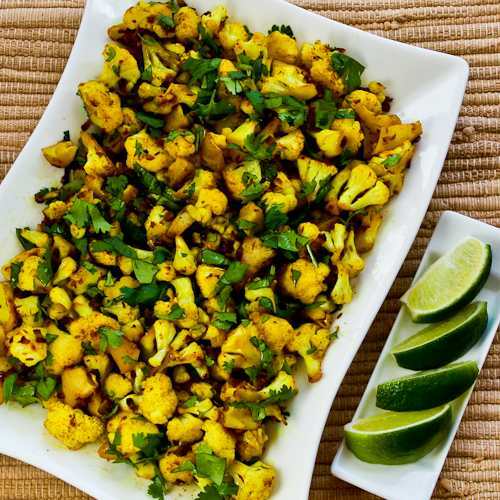 This Curried Sauteed Cauliflower is called Gobi TakTakin in India, where it's sold on the street. Back in the early days of my blog I did a whole series of recipes adapted from Mark Bittman's The Best Recipes in the World. This international cookbook has dishes that Bittman traveled around the world to sample, and I think I've liked every recipe I've made from the book. This dish of chopped cauliflower sauteed with red onions, cumin seeds, and curry powder is called Gobi Taktakin in India, suppposedly because of the "tak-tak" sound made by knives of the street vendors when they chop up the cauliflower as it cooks.